Arranging Dump Truck Contract Hire with Ridgway Rentals couldn’t be easier or more flexible! Available with optional Flotation Tyres, Heated Skip and Tailgate. 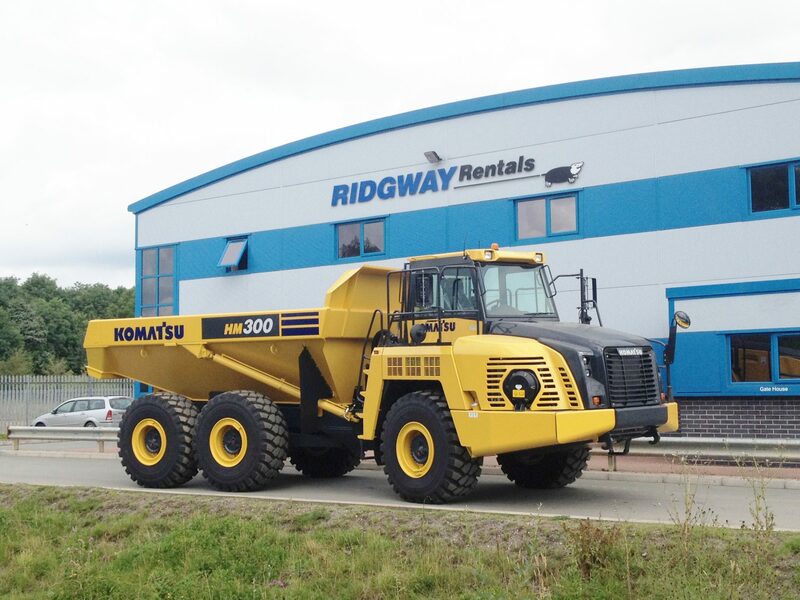 The HM300 is the latest Komatsu model and comes with a fuel efficient, increased horsepower and low emission engine fitted with a DPF filter (not requiring Adblue). The exclusive and advanced Komatsu Traction Control System optimizes overall performance on any ground condition.